I finally got round to reading The Flying Saucer , a novel by Bernard Newman that was originally published in July 1948 – just a year after the term “Flying Saucer” was coined following the Kenneth Arnold sighting. Newman’s book was reputedly the very first to cash in on the Saucer craze – which, as far as anyone knew at the time, might have fizzled out as quickly as it had arisen. I first saw it mentioned in Flying Saucerers , by David Clarke and Andy Roberts, and then in Mark Pilkington’s Mirage Men , and I’ve been meaning to get hold of a copy ever since (this American paperback edition, dating from 2010, says “originally published in the United States in 1950” – but it had already appeared in the UK two years before that). It’s a good book, but not at all what I was expecting from the various reviews and teasers I’d read. There are no sinister government conspiracies and no hushed-up crash retrievals. The book is firmly rooted in the political and social preoccupations of its time, and to approach it with the additional perspective of 60-plus years of ufological speculation risks missing the point entirely. As with most fiction, the best way to appreciate it is to think yourself into the mindset of the time the book was written (for anyone who hasn’t read the book yet, the following discussion is guaranteed spoiler-free). Regular readers of this blog will know that I’m a big fan of 1940s fiction (looking at the authors in my tag cloud, John Dickson Carr, Eric Frank Russell, Agatha Christie and A.E. van Vogt were all active at the time). So I’m embarrassed to say that—apart from this one novel—I’d never heard of Bernard Newman until I did a little research a few days ago. It turns out he was a prolific writer (his bibliography lists almost 50 novels), who was particularly well known during his lifetime for his series of first-person spy thrillers. The Flying Saucer fits into this series – not because it’s a spy story as such, but because (judging by internal evidence) it shares the same continuity and the same characters. The novel is narrated in the first person by “Bernard Newman”. As well as being the author’s real name, this is the name by which he is addressed by other characters in the novel. The narrator, as well as being a well-known author (he refers to his earlier spy novels as if they were non-fiction), is also a government-trained espionage agent. Was this true of the “real world” Newman too? He didn't do much to dispel frequent speculations to this effect (although such speculations were unlikely to harm his book sales, even if they were unfounded). Newman aside, the two other main characters are entirely fictitious – a brilliant English scientist named Drummond and an equally brilliant (if somewhat elderly) French spy named Pontivy. I get the feeling that both of them appeared in several of Newman’s novels prior to The Flying Saucer. At the start of the novel, under the influence of Eden’s remark, Drummond, Pontivy and Newman decide they will stage a fake threat from Mars. This is easier for them than it would be for most people, because Drummond is a scientific genius. He is able to build rockets that are different from any “earthly” rockets in their appearance and characteristics. As the plot progresses, Drummond is called on to develop many other “Martian” technologies, while experts in other fields—sworn to secrecy—are brought into the scheme as and when necessary. So where do flying saucers fit into the story? The answer is hardly at all. My guess is that the first draft of the novel (under a different title) was finished before the saucers hit the headlines for the first time. Newman then made some hasty additions – the opportunistic change of title, and a few references here and there to saucer sightings. But the latter aren’t part of the fake Martian invasion – they’re an independent (and never explained) phenomenon that goes on quietly in the background. While our heroes are happy for people to associate the saucers with their Martians, they don’t really exploit the sightings as much as they might. This is what makes me think the first draft was finished before the saucer craze even started. The fake Martian spaceships are described as being cylindrical, not saucer shaped, and they are physical objects found on the ground, not mysterious objects in the sky. Early on in the novel (in what I imagine is an interpolation into the original draft) Newman recounts numerous saucer sightings from 1947. Significantly, however, there is no mention of the Roswell incident in July that year. Since Roswell was the archetypal “crashed saucer”, and the novel revolves around rocket crashes, this may seem a surprising omission – but it isn’t really. Although few people realize it today, Roswell was scarcely ever mentioned in the ufological literature prior to the 1970s. The plot of the novel could be paraphrased as “a conspiracy to fake an alien invasion”... but even so it has little common ground with modern conspiracy theory. The “conspiracy” in the novel is a conspiracy in the historical (pre-JFK) sense of the word – a covert plot by a group of private individuals against the established order, rather than a covert plot by the government against its own people. The portrayal of politicians and government officials is likewise in the historical, pre-JFK tradition – as stuffed shirts full of vacuous rhetoric, rather than the coldly competent schemers of modern conspiracy theory. Although the protagonists are perpetrating a massive deception against the governments of the United States and Soviet Union (and all the other governments of the world), their battle is against stolid bureaucracy, not a vastly powerful secret elite. The novel paints a vivid picture of early Cold War society, in which the pervading atmosphere was one of suspicion (at one point Newman even anticipates the X-Files mantra: “Trust No One”). But this is suspicion of other people’s governments, not one’s own. The British are suspicious of the Russians and the Americans. The Russians are suspicious of the Americans and the Chinese. The Americans are suspicious of Communist countries and Communist spies. But, in those days at least, the Americans were not suspicious of their own government. Holey cheese; wouldn't it have been great if he'd written a sequel in which the almost-ignored flying saucer thread was picked up and Newman realizes that his conspiracy has actually served to shield and disguise the real Martian invasion? The Boy Who Cried Wolf. The classics are classics for reasons. Great idea! 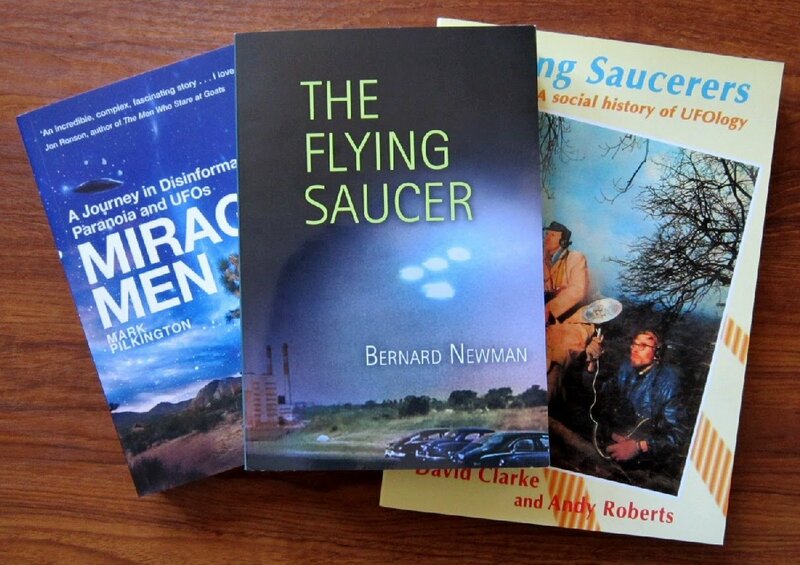 Newman created an awkward situation for himself by trying to write a science fiction story set in his own present day, where some of the news events (like the Flying Saucers) were taken from the real world, while others (Drummond's "Martian" rockets) were fictional. The book vaguely hints that the Saucers are a product of mass hysteria caused by the Martian scare (although that doesn't entirely hold water, because the first saucer sightings are supposed to occur out of the blue while the Martian project is still being planned)... but as you say, in a work of fiction the saucers could have been anything Newman wanted them to be! I shall try and find a copy! Sounds good. Yes, it's a really interesting book, although modern readers may find it a bit slow-moving in places. 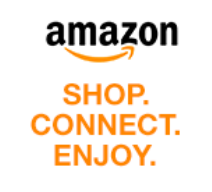 There are plenty of copies on eBay and Amazon marketplace. The novel was actually published on january 24 1950. Source : The Albert Lea Sunday Tribune (MN) of January 8, 1950.